Apple got a lot done at WWDC this year. 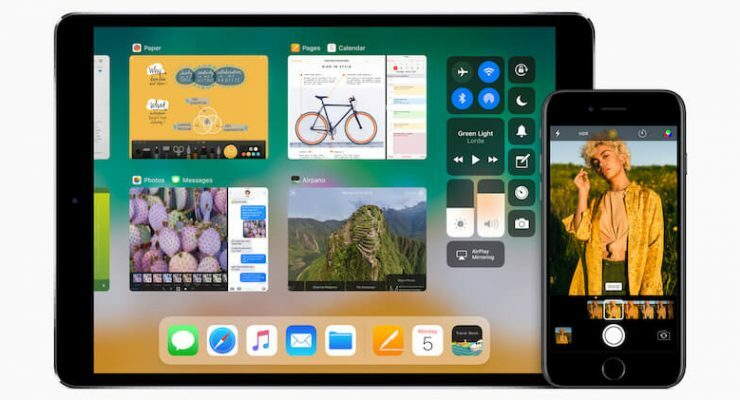 Outside of their stunning AR demos, huge Mac announcements and iPad updates, they also released the iOS 11 developer beta. This work-in-progress operating system gives us a glimpse into what iOS 11’s fall release will bring, and it looks pretty good! Here’s a selection of the new features that iOS 11 will bring come autumn. In iOS 11, the Camera and Photos app will be getting some significant new features. 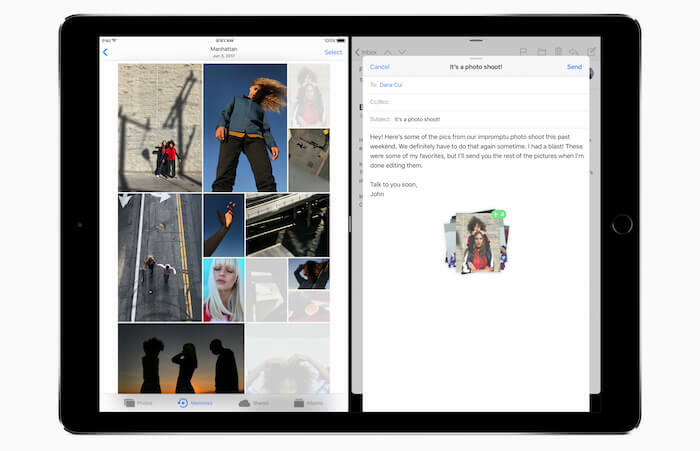 First, Apple is changing the format in which photos and video are saved. Camera will now use H.265 for video and HEIF for images. These new high-fidelity standards will shrink the size of photos and video by as much as 50 percent, saving precious iPhone storage space. Unfortunately, this space-saving feature is only available on newer iPads and iPhones. Portrait Mode is also getting an update. The camera mode for the iPhone 7 Plus attempts to find and blur the background of your image, creating an effect photographers call “bokeh.” Reviews have been positive, but Portrait Mode hasn’t historically supported all of the Camera app’s features. In iOS 11, that will change. Portrait Mode will now support HDR and optical image stabilization for better dynamic range, improved low-light performance and sharper shots. The camera’s flash will also work with Portrait Mode for the first time. If you have a compatible device with an A9 chip (iPhone 6S or later), Live Photos also gains some new editing options. Live Photos can now be cropped, just like videos. You’ll also see some neat new animations: Loop plays the life photo repeatedly, like a GIF; Bounce is a lot like Instagram’s Boomerangs, playing the video forward and backwards before repeating it; Long Exposure creates a unique blur effect. Memories also picks up a few more categories, like pets, birthdays, weddings and sporting events. Machine learning makes an expected appearance as well, promising to improve Memories creation and detection of individuals for the People album. And, at long last, object and facial recognition data will now be synced across devices. At long last, the iPad Pro is finally getting the professional features it has long deserved. Apple has finally improved the Dock on the iPad, mimicking macOS’ design and making multitasking truly viable for the first time. The Dock was previously only available on the home screen, but now it can be invoked from anywhere with an upward swipe. It holds up to 13 apps, and speeds up switching between apps significantly. Drag and drop finally makes it’s long-awaited appearance as well. Text, links, photos, files and more can now be transferred between apps without the need for awkward sharing menus. To drag and drop, users will tap and hold to select a draggable item with one finger. Then they’ll open the destination app from the Dock or Home Screen using their other hand, releasing their finger when the information is in the right place. And in Split View mode, users can drag information between the two open applications. The Pencil also gets some improved utility on the iPad. The user interface can finally be manipulated with the Pencil. Notes can now be opened with a tap of the Pencil from the lock screen, reducing the time between picking up the stylus and making input. 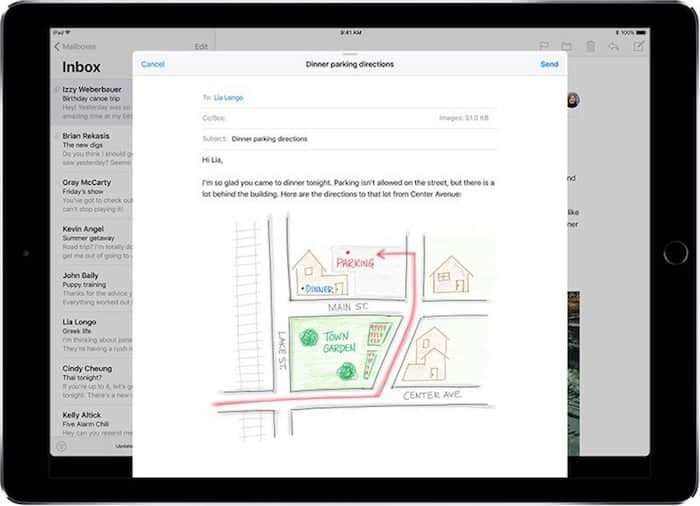 Instant Markup makes it easy to annotate screenshots and other documents before sharing them. Inline Drawing allows for doodles anywhere in Mail or Notes. 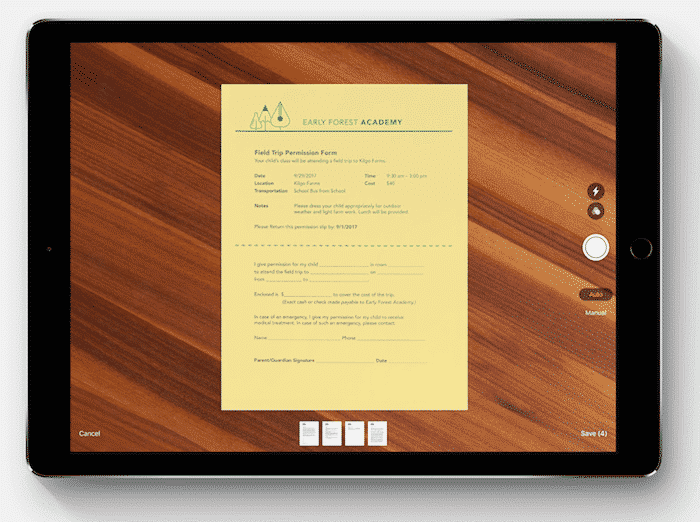 Files are also now directly accessible on both iPad and iPhone with the new Files app. This lets users save files to iCloud Drive from any app that supports it, then browse for and open those files. It’s a lot like a vastly-simplified, cloud-only version of macOS’ Finder. As usual, built-in apps like Notes, Maps and Messages will get major attention in iOS 11. In addition to the Instant Notes and Inline Drawing functions mentioned above, Notes users can finally create notes with tables, and Notes now includes an embedded document scanner for importing perspective corrected images of documents. Peer-to-peer payments are now available in Messages, allowing users to send money between one another using Apple Pay. The recipient can use the funds anywhere Apple Pay is accepted, or transfer the money to a bank account. Messages apps are slightly more accessible, and two new message animations make an appearance. Maps gets indoor maps for a variety of venues. You’ll find interior maps of malls and airports around the world, making it much easier to hunt down a bathroom when you really need one. There’s a short list of available airports at launch, and the selection will grow significantly over time. Apple News will be a little smarter, with a For You section that tracks your interests and a new Spotlight tab that houses selections made by Apple News’ editors each day. Music will get some more social features for connecting with artists and other users. Users can now share playlists with their friends and follow artists using the long-dormant Connect feature. A For You tab lets you see what your friends are listening to. There’s also dozens of tiny updates to built-in apps. Safari will try to make it harder for advertising companies to track you, and HomeKit will get support for speakers. A new one-handed split keyboard makes it easier to text with a latte in hand. The App Store gets some flash, with a top-down redesign. Do Not Disturb gains a driving mode that automatically engages when you connect to your car’s Bluetooth, auto-replying to text messages to let the sender know you’re driving and can’t text right now. Siri try to learn your preferences, the Control Center is customizable, and the Lock Screen and Notification Center have finally been merged into a single entity. A Big Year For iOS? These updates sound awesome, especially for iPad users. Users have a lot to look forward to this fall. Can’t they integrate this feature into older models as well? So as to save on storage? It’s based on the new iPhone processors, which include special instruction sets for quickly and efficiently saving videos and photos in the new format. It’s certainly possible to do in older phones, but I would expect there’s some performance degradation or other downsides that would make for an inferior customer experience. It also encourages folks to upgrade to the latest model.